East Linda, Calif. - Shortly after 7 a.m today the Yuba County Sheriff's Department simultaneously served five search warrants in the East Linda Edgewater neighborhood that led to the discovery of indoor marijuana grow operations. Three homes in the 5600 block of Shires Way, one in the 5600 block of Meadow Brook Way, and one in the 5600 block of Gold River Way, were found to have large indoor marijuana grows. Deputies and Detectives are still on scene as the investigation continues. The search warrants were served without incident and six people are currently detained. 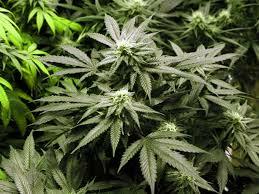 Marijuana plant counts, once completed, are expected to exceed several thousand. The investigation began in January 2017 after Yuba County Sheriff Deputies were called to one of the residences on Shires Way by a concerned neighbor regarding an unsecure home with an open door. Upon a security check of that residence, evidence of an indoor marijuana grow was located which lead to an investigation that revealed a large cultivation operation involving multiple nearby homes and several individuals from out of the area. Each of the involved dwellings was determined to be occupied and the relationship between the various residents and property owners is still under investigation at this time. More information will be released pending results of the investigation later today.